Productivity or Perfection – It’s Your Choice! If there was such a thing as Perfectionists Anonymous, I would be there, front and center. I’d be the one leading the meetings. And I wouldn’t be alone. Looking at this definition, you can see why those that tend towards being a perfectionist have such a difficult time accepting anything less than perfection. Millions of people suffer from this “malady” across the Globe and it can have dire consequences in their ability to produce at work or at home, and can even lead to relationship issues in it’s most severe form. For online marketers, perfectionism can be particularly damaging. It can lead to a huge delay in finishing campaigns, projects and virtually anything attempted by the online marketer. And, of course the ultimate result will be a loss of income, feelings of disappointment and frustration, and finally quitting. If you’re going to be a successful Online Marketer, you need to be productive. Being productive means completing tasks in a timely manner and going on to the next project. Productivity or perfection – it’s your choice. There is no room for both in your online business or your life. I have struggled with perfectionism throughout my life, even during childhood. But it came to a head when I decided to start an Online Business and work for myself. When you work for yourself, there is no boss pushing you to produce. There are no coworkers to pattern yourself after. You are left alone in your business to manage your own productivity. You can see why Perfectionists have a difficult time when working from home. What did this get me? Not much. A blog that was mired in obscurity. Lagging far behind my competitors in every way. And, of course a business making far less money than it should have. 4 Ways to Combat Perfectionism? If you are a severe perfectionist, unable to complete the most simple of tasks I would suggest you consult with a licensed therapist to deal with this issue. As many believe that the roots of perfectionism lies in childhood, there may be some deep seeded issues that need to be dealt with by a professional. If you don’t first acknowledge and accept that you have Perfectionist tendencies, there is no hope in dealing with it. I believe that perfectionism is one form of addictive personality and acceptance is the first step in dealing with any kind of addiction. Making a list combined with reasonable dates you expect to complete tasks is a great way to thwart perfectionism. But the key is to make it realistic. If you’re not sure if your completion dates are reasonable, have someone else with knowledge of your business take a look. This may sound crazy, but my $2 timer is one of my most effective business tools. It keeps me on track. And it reminds me that my project needs to be done, perfect or not. 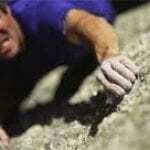 The quickest way to disprove Perfectionist beliefs is to challenge them. And you can do this by purposefully releasing “less than perfect” material and seeing what happens. I did this once with a blog post. I purposefully left in a few typos and grammatical errors to see what would happen. People still read my blog, commented, subscribed and came back for more. Chances are you will find the same. Hold on a minute… don’t get me wrong. I’m not giving you permission to be mediocre. I don’t advocate throwing out half-baked content or poorly thought out squeeze pages on the Internet. I’m not saying there’s no need to proofread your content before it’s published. You should always strive to put your best foot forwards. I’m just saying it doesn’t need to be perfect. There comes a time when en0ugh is enough. You’ve done your best and, for better or worse it needs to be put out there to perform. I’ve heard many very successful marketers say that it’s better to get something out there and fix it as you go along. It seems that the “gurus” are not perfectionists… you can’t afford to be one either. How about you? Are you or someone you know a perfectionist? How do you combat perfectionism? Leave a Comment and Join in the Discussion! Lessons from Hurricane Irene: Are You a Survivor or Victim? This was one of the hardest, but most useful, lessons to learn! Learning to not take life so seriously was one of the best weight lifters I could’ve ever asked for. And ironically, yes, it somehow helped me to be more productive! Hey Bob, I too am a perfectionist, or a recovering one. It can be so easy in building an online business to find a million things to fix and make better – lots of temptation out there (especially with all the constant changes to wordpress, facebook, google algorithms, etc…). I think this perfectionism complex was developed through schooling, the fear of making mistakes, wanting to always get that A or have perfect grades, to be the top of the class (even though I was not however, I definitely felt that pressure!). Great tips you’re listed to help keep those of us perfectionists inline, productive and profitable! Thanks. Sounds like we are cut from the same cloth, Hans! But as they say, awareness is the first step towards resolving the issue. Check back with us here and let us know how your battle against perfectionism is progressing! I loved this post. You have done a great job explaining perfectionism and how to combat it. These four strategies are very helpful. Funny thing is, I used to think that being a perfectionist was a great thing – Lol! Thanks for sharing your insights, Dr Clarke. But in general, it slows us down and thwarts our forward movement. Thanks for the kind words, Mavis… great to see you here again! That’s true, Sarah although I’ve found that most perfectionists are hardest on themselves. At least that’s how it is with me. Great tips for perfectionists! I used to work for one. Uggh. There was no pleasing her. Wish I had the tips to share with her but a good reminder for all. LOL Kathy… yet another use for my post! I love it. Yes, expectations from family members can be especially pressure-packed. I have no tips for handling that, since I am lucky on that front. My wife is very supportive and actually a business partner. Thanks for your comment, Thomas. It was the photo at the top of this post that caught my eye and I must admit I’m not the kind of person to throw something together in a slapdash fashion. I do try not to delay and allow myself to procrastinate too long due to over zealous perfectionism. This of course comes from good intention most of the time, wanting to ensure you give people your absolute best.. The thing I try to keep in mind now is if we delay over endless rewrites and edits that’s time we could have used better helping someone … not always easy bit like I say I try! Hi Sadie, good to see your smiling face again! It truly is a process, right? Even with the best of intentions, we all fall back into old habits once in a while. The key is to recognize it and move forward. Thanks for your comment, Sadie. I (as well as everyone else who’s commented you, it seems) used to be a perfectionist, too. I quickly discovered that nothing would ever get done if I was constantly tweaking it to make it that little bit better, so I tried to develop some new habits to help myself kick that one. The thing that helped me the most is actually #2 on your list – setting dates for myself. I found that if I set a deadline and stuck to it, even if what I was working on wasn’t 100% amazing by the set date, I worked a lot better. I am amazed at how many perfectionists are out there! Almost everyone who has notified me or commented here has at least some perfectionist tendencies. I think the first step you took in dealing with this was Awareness. Then you sought a solution and found one that worked best for you — deadlines. Kudos to you, Vivian for taking action and moving forward! You are preaching to the choir. Hi Bob, My name is Ian and I’m also a perfectionist. I have been through exactly the same things as you. Not publishing a blog post, because it wasn’t perfect yet or not putting up a squeeze page, because it wasn’t just right. I know the feeling. I have been working on this problem and I am getting better, but I still have my perfectionist moments. I really like your list of “4 Ways To Combat Perfection” I have made it through 1 and 2. Guess it’s time to go and get that timer. Thanks for sharing Dr Bob and have a great day! Glad you found this useful. 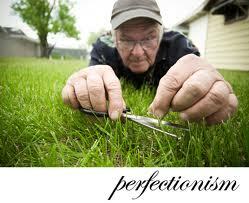 I suspect that there are many more perfectionists in our society than we think. In fact, if we had a meeting of Perfectionists Anonymous in each city, my feeling is that they would need to get more chairs! Sounds like you are making a lot of headway in beating your perfectionist tendencies, Ian. Congrats to you! You hit on something regarding perfectionism that I didn’t discuss — trying to be perfect for others. The expectations of a spouse, parents or other significant persons in your life can all contribute It’s important to understand why you are trying to be perfect so you can work on the source of the issue. Hi Melody, welcome to our blog! Kudos to you for attacking your productivity issues head on and taking action. Love Joe’s quote… action is the key! I used to be a perfectionist when it comes to the look and design of the blog. I used to pay attention to every detail with colors, alignment and fonts. I later decided that it was taking weeks together to get it done “perfect” and those weeks I didn’t produce content. Cheers to you for working through your perfectionist tendencies. Not everyone can do it. You’re right — “perfect” is in the eyes of the beholder…. it means different things for different people. We all have a little perfectionism in us, I believe, and that’s probably a good thing. But you just can’t let it predominate and keep you from moving forward. Thanks for your insights, Jane. I agree with your points. I also think that having a timer (as simple as it sounds) is my top productivity tool as well! Time delays are definitely the biggest symptoms of perfection. However, perhaps one way to tackle this issue would be to create a checklist of things to go through, before you publish anything. By this way you could check that certain criteria are met, before you hit the publish button. Ah yes, Timo…. we love our timers right? This is one of the best productivity tools around and so many don’t use it. Thanks for your comment, Timo! I can relate so well to that whole story Bob. I too deal with the gift of perfectionism, and can relate so well with the struggles that it brings as well as the gifts and benefits. Your 4 steps are right on. We have to pick up our shovels and get something done. It’s funny, Martin… almost everyone who has contacted me in one way or another about this post admits to being a perfectionist to some extent. Makes me think I should spend more time on this topic. What do you think? I would be right there with you Bob in perfectionists anonymous! It has taken me longer than expected to get up and running online for that very reason. But I have learned to let go a little bit, enough to make some real progress with my business! Thanks for the great tips, I will definitely pay attention to these. Glad you found them useful Tony. It’s great that you are learning to let go and accept imperfection. It’s a great first step. Congrats on your successes! In the Bible it says “Be perfect, as your Father in Heaven is perfect”. Yet, in may ways, the Bible tells us that we can’t attain perfection isn this life. I’m reminded of a foursome of golfers on the tee of a short par three hole. The partner of the one teeing off exhorts him, saying, “Knock it in the hole, Bubba!” Does that mean he really expects him to have a hole in one? No, but it means he wants hime to try for one. The same way for this passage. God wants us to try for perfection, but doesn’t EXPECT us to acheieve it in this life. So, if we do our best and make mistakes, and God doesn’t hold it against us, why should we hold it against ourselves? But I’m always hesitant to take Bible passages literally. I feel that they can be taken out of context and some are even difficult to translate given the time period. But your point is well taken… do your best, accept yourself as you are but always strive for doing the best job you can. Thanks for the comment, Lou. I think you are right. While I think the first step is acknowledgement and awareness, the second step is acceptance. Once you can accept it, you can see perfectionism for what it is – a fruitless attempt to look good in other’s eyes. Thanks for your insights, Oliver…. great to see you again. That’s very true, Charlotte. You never know who’s watching or what you might do that will catch the attention of a big player. It pays to put your best out there at every turn. Thanks for your comment, Charlotte! Nobody, I repeat nobody, is perfect. But that doesn’t mean that everybody is mediocre. You can be excellent in many ways, but if you demand perfectionism from yourself you are in for disappointment. Bob I’m with you. I used to obsess over minutiae and all that did was stall progress. I fell behind. I’d miss deadlines. It would discourage me. You found the solution: take action. Just publish, film, update…whatever it is you have to do just do it. Don’t agonize over perfecting every detail because let’s face it; we never wind up doing anything perfectly. People appreciate seeing what you have to offer and the more you put out there (online business-wise) the more chances you have to touch more lives. So true, Jon…. action is a great way to get through perfectionism.. I’ve found that somehow people expect a few mishaps — it makes you look human and people can relate. That’s not to say you should put out shoddy material. But you can’t obsess about it. Thanks, for your insights, Jon. Bob – I could not agree with you more! I am constantly telling my Internet marketing training students and my clients this very thing. And its always a tip I share when I do public speaking. People will hesitate to start a blog or get involved in social media because they spend WAY too much time perfecting their posts, and that is not how to be successful! Posting frequently and strategically is what makes you successful! Thank you for sharing this! Perfectionism has killed more than one Internet Marketer’s dreams, I imagine. It’s a tough one to get through, but it can be done (and it must be done if you want to be successful). Thanks for the comment, Nicole… we appreciate you! Great post.You well explained perfection and shared a very useful information on how to combat perfectionism and I like the all four ways.Thanks for sharing! Glad you found this information useful. We should, of course, strive for excellence in everything we do, but perfection can only be left to bowling (bowling a perfect game – 12 strikes in a row – 300 points). We are human beings and imperfect by nature. I love that clarification point, Rick… strive for excellence, not perfection. Going to write that one down and post it on my computer. Thanks for your insights, Rick! I was going to say that it wouldn’t be that bad to have a surgeon who is a perfectionist Bob, but then after some more thought, I changed my mind about this too as I had visions of never getting off the operating table! I was going to say that I am now an ex- perfectionist but I wonder whether one ever gets over this completely? I know that I am much better with this now but sometimes I still have the perfectionist bug that likes to come out and derail me. The difference is now I usually can identify it early in the piece and exterminate! I know what you mean, Marcus. I used to value perfection also, especially being in the sciences. We scientists are taught to be exact and perfect… not great when it comes to marketing, I’m afraid. So, I’ve needed to retrain my mind concerning this. As far as getting over it completely, I don’t think so. I believe it’s a little like an addiction. You can control it but it’s still hanging out there ready to rear it’s ugly head. I just make affirmations to combat perfectionism like, “I accept the way I am.”, “If things don’t go the way I want, it’s okay, I accept that”, “No one is perfect. It’s okay to make mistakes.” These affirmations can be anything. It’s best to use affirmations based on our personal self-talk. Practice accepting those things that you can’t change! Hmm, affirmations, Jans? Cool. I haven’t tried that in respect to my tendency towards demanding perfection of myself. Now, combined with Kristi’s tips I will add another tool to my arsenal. I’m impressed with the system you’ve developed to thwart your perfectionism, Kristi. Based on the response to this post, it seems that this is a widespread “malady” that effects many in our industry. Thanks for the writing tips, Kristi… I’m going to try a few. Glad you found this information useful. It doesn’t surprise me that, as an artist you tend towards perfectionism. Believe me, it’s true of us scientist-types too. What triggers have you found to help you deal with it? Cool post Bob! I think that all of us have this issue at one time or another, some more that others. I like the timer idea a lot and I agree that it’s a VERY valuable tool. My timer is my best business tool! I use it in so many ways, my business might become crippled without it. Seems kind of crazy, but you’ve got to find what works for you and use it, right? Glad you found this information useful, Kyle! Glad to see that you’re gotten past your perfectionist ways… many never do. Glad you enjoyed the post, Gemeem! Have You Heard? – There’s a New List in Town!